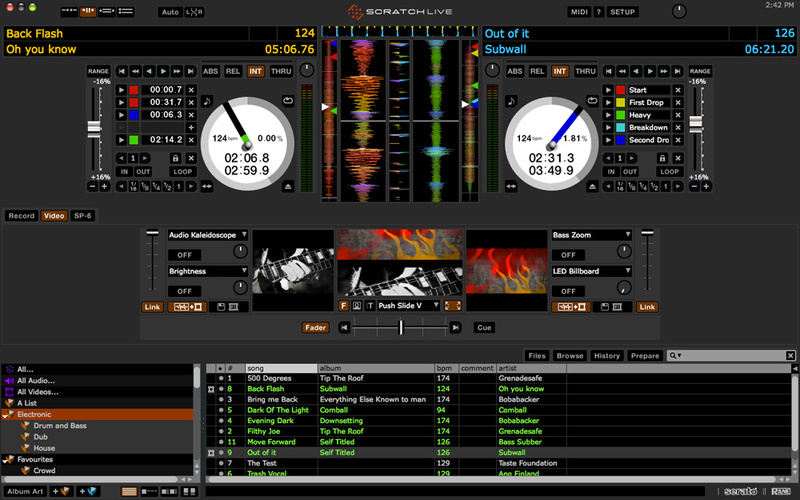 Serato Video, DJ Software from Serato. Serato will launch in March Serato Video, a video scratching and mixing plug-in with Scratch Live and ITCH. Serato Video allows DJs to playback, scratch and mix video files using turntables, CDJs or supported controllers. Based upon Video-SL, the plug-in for vinyl emulation software Scratch Live, Serato Video will offer support for both Scratch Live and ITCH. Serato Video will be a free upgrade for existing Video-SL customers and will be available to purchase for US$149 in March 2012. For more information, visit www.serato.com/video. [NAMM] DJ-Tech Dragon Two DJ Tech has released details ont the Dragon Two at NAMM 2012. [NAMM] Behringer CMD Series Behringer introduces at NAMM 2012 its series of CMD controllers for DJ, including a control surface and six MIDI modules. [NAMM] Gemini DJ CDMP-7000 Gemini exhibits the CDMP-7000 at this year’s NAMM show - attendees can check out Gemini’s CDMP-7000 at Booth 5700.